A paper crane advertising NU ’gami. The origami club was recently founded at Northwestern. When he was in 5th grade, Robin Kim had to make origami for a class project. He was hooked, and ever since then, he’s been making paper cranes as a hobby. Even though he continued working on cranes when he got to Northwestern, he never really thought he’d end up starting a club. Kim, along with four other members of an executive board, recently founded NU ’gami, the first origami club at Northwestern. Kim said the club’s meetings have averaged about 20 members, with 10 to 15 regulars who attend meetings each week. NU ’gami chief technical officer Drew Parsons, who designed the club’s website, said he was “shocked” at how many people have attended early meetings. He said many clubs at Northwestern can feel like a “chore,” so NU ’gami wanted to create a more laid-back atmosphere. Parsons said he was recruited shortly after the club was founded. He said he’d been exposed to origami in the past but was also interested in using his computer science experience to help create the website. Chief design officer Kaitlyn Ko, who got involved shortly after the club was formed, said the team is planning some events to put origami around campus. 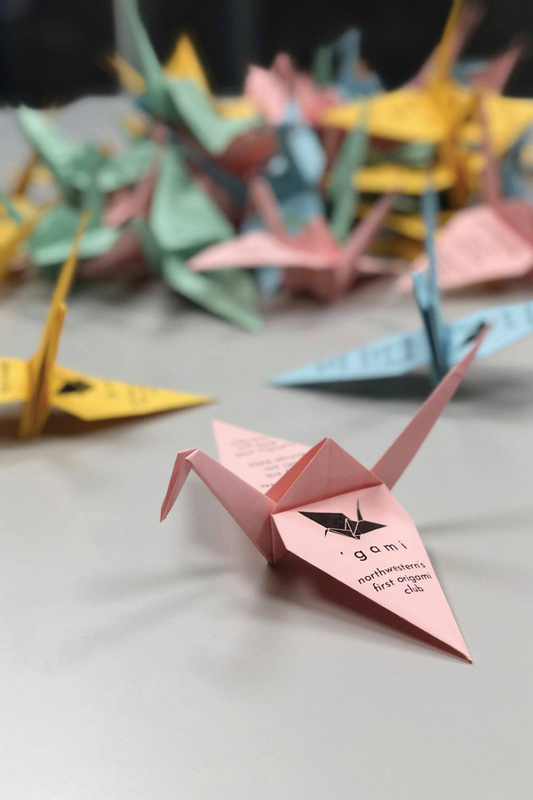 NU ’gami is planning an event this week for Mother’s Day, which Ko said could also involve letting students make cranes to decorate around campus — or to give to their mothers. Kim said he hopes to expand the club going forward.